We have some amazing new speakers lined up for you! From technological, academic and medical fields, these speakers will be sure to bring you new insights and important viewpoints. Eric is the Co-Founder and CTO of Fitbit, and has served as a member of Fitbit’s board of directors since March 2007. Previously, Eric served as an Engineer Manager at CNET Networks, as a Co-Founder of Wind-Up Labs, a founding engineer of Epesi Technologies, and a technical member of the Real-Time Collaboration Group at Microsoft Corporation. Today he drives technical and product strategy at Fitbit – one of the leading makers of wearable fitness trackers, with over 60 million devices sold worldwide. Alf Rehn, the Professor of Innovation, Design, and Management at the University of Southern Denmark, is recognized as a global thought-leader in innovation and creativity. He’s a bestselling author, and a strategic advisor for everything from hot new startups to Fortune 500-companies. His academic work focuses on issues of power, exclusion, creativity and innovation, and often builds on counter-intuitive analyses of core assumptions within management thinking. Kacy leads the Data Analytics Team for Connected Digital Platforms and Propositions at Philips. She is responsible for ensuring that Connected, Internet of Things Products developed at Philips launch with a clear data strategy and performance models to ensure that data generated by these devices can be processed and analyzed to drive timely decisions. She is responsible for extracting maximum value across Philips’ Healthcare and Consumer businesses for meaningful insights that go beyond information to deliver compelling and actionable “data stories”. Dr. Aditi Joshi is an Emergency Medicine Physician who has worked in Telemedicine for over five years, beginning at a startup and moving onto an academic institution. She is the current Medical Director of JeffConnect, part of Thomas Jefferson University Hospital’s enterprise wide Telehealth program. She is particularly interested in the issues of patient access and engagement, provider uptake, expanding the capabilities of telemedicine, and fostering international collaboration. 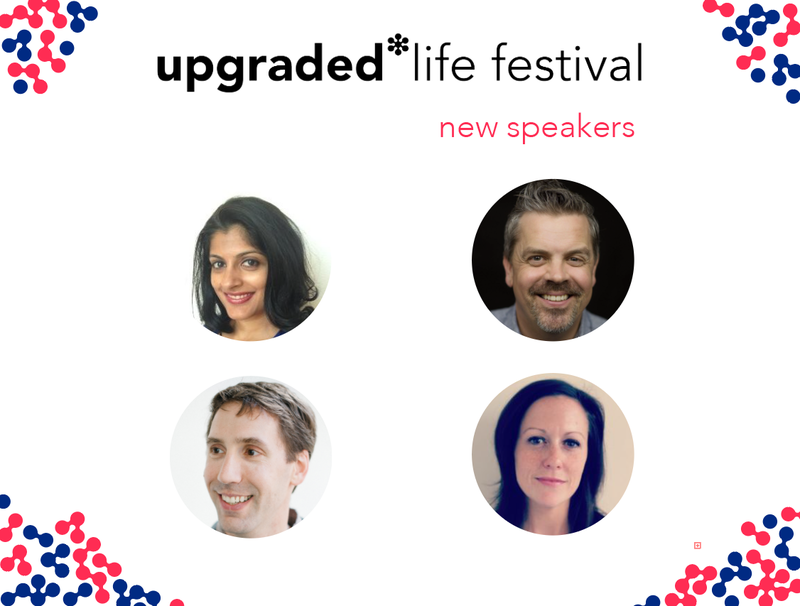 Upgraded Life Festival is an event designed for one-on-one discussions with all the actors within the ecosystem, and most of our speakers can be found in Brella and will be available for scheduled meetings with you. This is your chance to meet with the most influential people within the health industry, so bring your a-game!